This is my session workhorse - a mid-jumbo guitar by Ditchling luthier Ian Chisholm. Ian originally made this guitar for himself to play at sessions. Being a restless soul, he decided to sell it while setting up an exhibition of his instruments at one of the Brighton Festival "Open House" events. I was helping Ian at the time and it took me all of about five seconds to say, "I'll have it!" The guitar is loud but, more importantly, has tremendous projection, and is perfect for playing at sessions and on occasions where volume and projection is needed. The construction is everything and people who pick it up to try it are amazed by how light in weight it is. 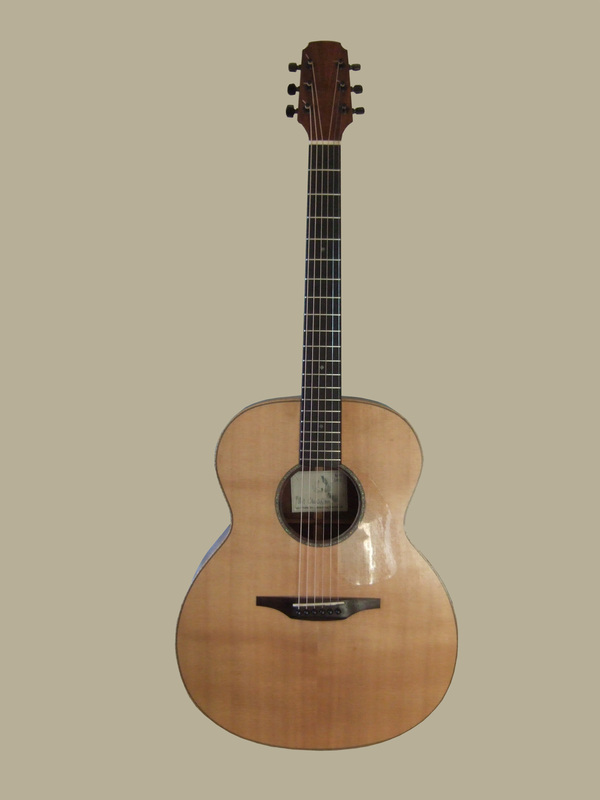 The guitar is strung with Elixir Phosphor Bronze Nanoweb .012-.053 gauge strings.